In August 1964, three months after the death of Jawaharlal Nehru, the Australian scholar and diplomat Walter Crocker, who had spent several years of the Nehru era in India, sat down to distil his memories into a book that he called “a contemporary’s estimate" of the late prime minister. An assessment of the life and career of a man so recently departed, a man whose policies were still current and about whom history had not yet made up its mind, required an unusual degree of confidence on the part of the writer. But Crocker had seen Nehru from up close, both politically and in a personal capacity, and he was confident of the authority he claimed. “The historians of the future will know more of the documents," he acknowledged, “but not Nehru himself nor the men who figure in the documents." There are several reasons for this. Crocker was a scholar by training and a diplomat by profession, so he had a practised eye for the subtleties of both policy and personality. He had logged many hours of first-hand observation of Nehru at public conventions, state occasions, and in Parliament; an entire section of his book is titled Watching Nehru. Yet, he had no investment in Nehru or the Nehruvian project, and could afford a more objective perspective than those swayed to extremes of devotion or resentment by Nehru’s enormous presence. Also, being neither Indian, nor British, nor American, Crocker’s advantage was of a political perspective not clouded by India’s colonial past on the one hand and the Cold War on the other. Finally, Crocker’s account has an attractive pace, an intensity. His assessment of Nehru is ordered by theme—Nehru’s background, skill in public life, thought, politics, economics, foreign policy—and not by chronological time, the weight of which can often sink a biography. The details he provides all serve the ends of this or that argument. 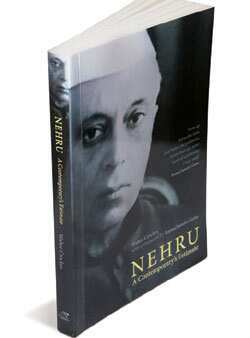 Although every reader will enjoy the memories and anecdotes of Nehru with which Crocker begins, the most powerful section in the book contains a set of ringing criticisms of Nehru’s vision of India, which encompassed not just a federal, secular and democratic state, but also socialism and central planning in economics and non-alignment in foreign policy. Crocker makes a case that although their ambition was immense, Nehru’s first three five-year plans did not leave the Indian economy in any way better off than it was at the time of independence. 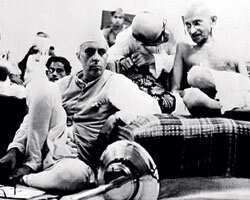 Nehru’s faith in economic progress was great, but his knowledge was shallow and his advisers sycophantic. His plans were not equal to Indian realities. Yet the remarkable thing about Crocker’s book is that a work so critical of its subject should end up making us admire him. Crocker observes that “the dilemma faced by men of goodwill who acquire power and responsibility is remorseless". He lauds Nehru’s extraordinary vitality and energy, the range of his intelligence and interests, his devotion to the causes for which he stood, and and the depth of his idea of India, articulated at great length and with great force over almost half a century. Yet, Crocker is nowhere more astute than in his judgement that Nehru’s years at the helm of independent India, although marked by many new beginnings and the formation of new root principles, represented not so much a new direction in Indian life as an interval in which much was churned, but little overturned. “Nehru’s rule will leave some mark on India, but not as much as is expected," he remarks, and the present scene of aggressive religious chauvinism and revivalism, democracy in thrall to issues of identity, and political protest contemptuous of the rule of law seem to attest to the truth of this. There is much to think over in this sobering and yet exhilarating book.